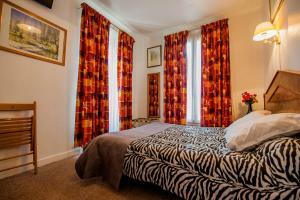 Ideal Hotel is 2.5 km from Gare de Lyon and 6.0 km from Eiffel Tower. Charles De Gaulle Airport is 20 km away. One extra bed can be added for a child less than 10 years old at a price of 15 €. The credit card used for the reservation must be presented upon check-in. Please note that the property may pre-authorize the credit card any time after the booking. Please inform Ideal Hotel in advance of your expected arrival time. You can use the Special Requests box when booking, or contact the property directly with the contact details provided in your confirmation. Guests are required to show a photo identification and credit card upon check-in. Please note that all Special Requests are subject to availability and additional charges may apply. This double room features a cable TV and a private shower. You will have access to a shared toilet. Rate: € 54.60 ... € 212.50; select dates below to get current rates.